A painting hall, ventilation, heat recovery and suction for welding fumes are the prime components of the solution provided for Danbor Service A/S. 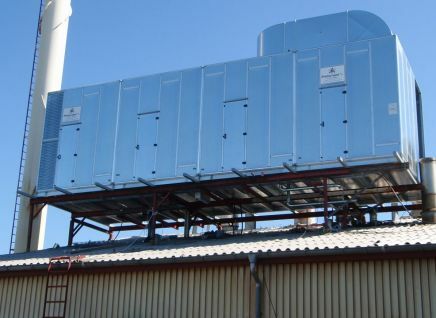 The heat recovery unit provides 25,000 m3/h and has an integrated oil heating system for securing additional heating of the facility. The unit is fitted with double cross-flow heat exchangers securing heat recovery of 80 %. .
With more than 30 years of experience within the oil and gas industry and 500 employees Danbor Service is one of the largest and most experienced offshore providers.